Addiction and abuse can happen when a person uses an illegal drug. It can also happen when someone uses a prescribed medication in a harmful way. Different drugs give different pleasurable effects. There are many substances that people use casually or regularly. They use these to get a high, or to make them feel good. The difficulty with drug-induced experiences, is that they come at a high price. Most prescribed medications don't cause addiction, and don’t result in highs. Drugs that cause addiction (drugs of abuse or controlled drugs) are quite different. Most are illegal, but doctors can legally prescribe some of them in controlled ways. These addictive drugs cause a person who uses them often to crave more. The user gets unpleasant withdrawal symptoms when they stop taking the drug. They also develop a tolerance to the drug. This means they need to increase the dose of the drug over time to get the same effect. Over time, with regular use, users of these drugs can become addicted or hooked. They may find it more and more difficult to live without the drug. With some drugs it can happen very quickly. 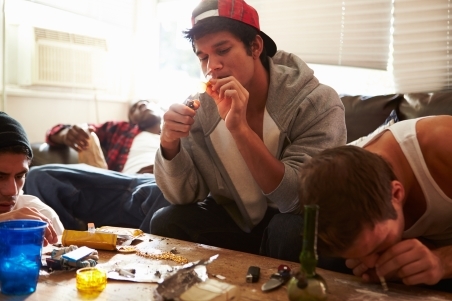 You can inherit a tendency towards addiction, which means it's passed down in families. But stressful life circumstances and personality may also play a role in the choices people make that lead to addiction. When a person is addicted to drugs, problems can snowball over time. They can make riskier and riskier choices to keep life under control. People can get desperate and may put their relationships, health, and reputation at risk to get drugs. Driving while high is illegal. If a police officer pulls you over while driving after taking drugs, you may lose your license or face a criminal conviction. The good news is that treatment is available if you abuse or are addicted to drugs. If you're willing to change, the treatment is effective. Drug Help is a Ministry of Health supported website. You can learn from other New Zealanders' experiences, gain insights into your own use, and access support to get your life under control. This website has information and advice about sorting out your or someone else's drug or alcohol use. It has information about specific drugs and videos for young people. It includes videos in Māori.